When a heating and cooling unit is involved, it doesn’t only require carefully choosing the unit that will work best for you but it also includes getting the best HVAC contractor to get the installation done right. As they say, your HVAC unit is only as good as how it is properly installed. Unit’s that are installed poorly will most likely bring about problems that you will regret. And most of all, a HVAC unit that is not installed correctly can only mean you can say goodbye to the amount of money you spent on purchasing the unit. So how do choose which HVAC contractor is right for you and your heating and cooling needs? Here are some questions you need to consider before making the final decision. What is the Length of Time the Company Has Spent in the Business? This first question plays a big role in your decision making. If you’re going to do business with a HVAC contractor, always check how long they have been in the business. The length of time they spent in the industry can be a proof of stability in the financial aspect and quality of work they provide. Is the Company in Partnership with Better Business Bureau? Any company that is reputable and reliable will most likely be a member of BBB. Those who aren’t are likely to have a history of unresolved complaints that they are trying to conceal. Are the HVAC Contractors Licensed? The rule of thumb is, never hire a contractor that is not licensed. Always check for license before making a decision. Does the Company Have Accreditation? Other than contractor’s license, it is also important that a company has accreditation before considering the services they offer. If the company doesn’t have any, move on to the other choices of HVAC contractors. Does the Contractor Have and Carry a Proof of Liability Insurance? You never know when accidents can happen during HVAC installations. Yes, things could still go wrong even if you have a professional and licensed contractor during the installation process. Make sure that the contractor has liability insurance to protect your home from any possible damage that may be incurred during the process. Is the Contractor Open to Listening to the Owner? Just because they are licensed and educated on the matter doesn’t mean that they don’t have to consider any issues raised by the owner. If the contractor is willing to listen to whatever you would like to bring up in relation to the matter on hand, then this is usually a good sign. Is the Contractor Offering Up-front Pricing? It can be frustrating to be given an upfront pricing of the job to be done only to find out that the work will cost you more after the completion of the job. 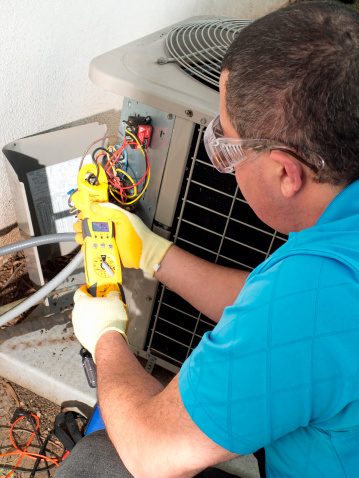 A reputable HVAC contractor should provide an estimate of the cost and put it into writing so that everything is set clear. Do the Company Technicians Go Through Drug Tests and Background Checks? For the sake of safety and security, it is always important that the technicians that the company sends undergo the necessary background checks and drug tests. Remember that the technician will be working in your home for several hours and there is nothing more important than feeling safe while they get your HVAC installed. It is also very important to look at the bigger picture and ask for warranty coverage on the installation. Details of the warranty should be stated clearly and it may also be wise to ask if the company offers a maintenance plan. Other than asking from your family or friends about the reputable HVAC contractors they know, it is also wise to ask for references from the HVAC companies themselves. Ask for at least three references including the name and contact numbers of the company’s past customers so you can verify the validity and quality of services they offer. The stakes are usually high when it comes to the issues about your home and your money. These tips should help you find the right HVAC contractor through proper evaluation and decision. Best of luck to you!